HIMSS released the results of the 26th Annual HIMSS Leadership Survey of more than 300 participants, examining key trending issues impacting the business of healthcare including patient considerations, security concerns, insurance models and policy mandates. This survey revealed that 72 percent of respondents report that consumer and patient considerations, such as patient engagement, satisfaction and quality of care will have a major impact on their organization’s strategic efforts over the next two years. 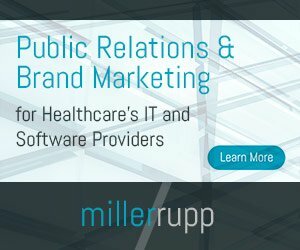 The strategic value of information technology (IT) continues to be top of mind with healthcare leaders as 81 percent of respondents indicated IT is considered a highly strategic tool at their organizations and 76 percent noted that their IT plan fully supports their overall business plan. Participants also answered questions related to how IT was being used to facilitate the goals of the Triple Aim – a framework developed by the Institute for Healthcare Improvement that describes an approach to optimizing health system performance. While more than two-thirds of respondents (68 percent) indicated an improvement within the patient health experience, more than half also felt that IT was reducing the cost of healthcare (53 percent) and improving population health (51 percent). The Leadership Survey also indicated that IT is supported from the top down– 79 percent of respondents indicated their organization’s executive team is highly supportive of IT and 72 percent of respondents indicated their organization’s board of directors was also on board with IT growth within their organizations. IT is a critical tool for improving care coordination within healthcare organizations – 74 percent of respondents indicated that IT is considered a critical tool for improving care coordination. Enhanced engagement through patient portals – This year’s survey found that 87 percent of respondents stated that their organization provided a patient portal through which patients can access information. IT budgets and staffing will increase – Almost two-thirds of respondents indicated that their organization would increase their IT operating budget in the next year. In addition, 49 percent indicated that their organization expected to increase the number of IT staff at their organization in the same time frame.